The very dense style of floral marquetry decoration on the top of this table is inspired by overdoors painted by Jean-Baptiste Monnoyer. He in turn had been inspired by engravings published in the mid-17th Century by Paul Androuet du Cerceau in his Livre d'Ornements de feuillages. 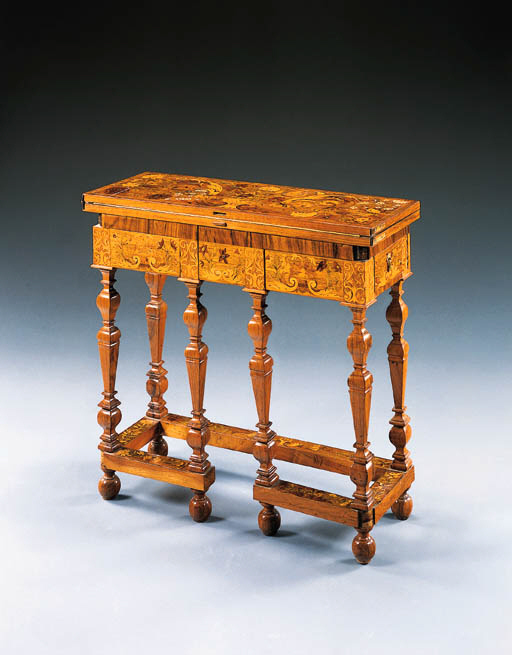 A likely maker for this table is the Flemish cabinetmaker Philips van Santwijck.